I got this idea from Seminary at Six AM's blog. It just was such a fun idea and I wanted to do it for my class. 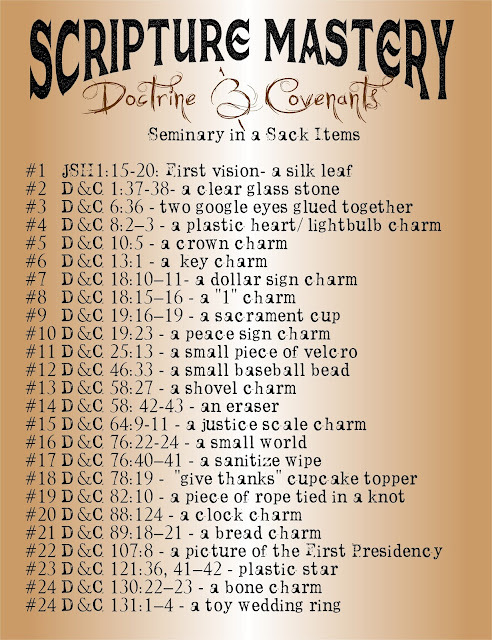 Below is a picture of the items that we put into the sack. 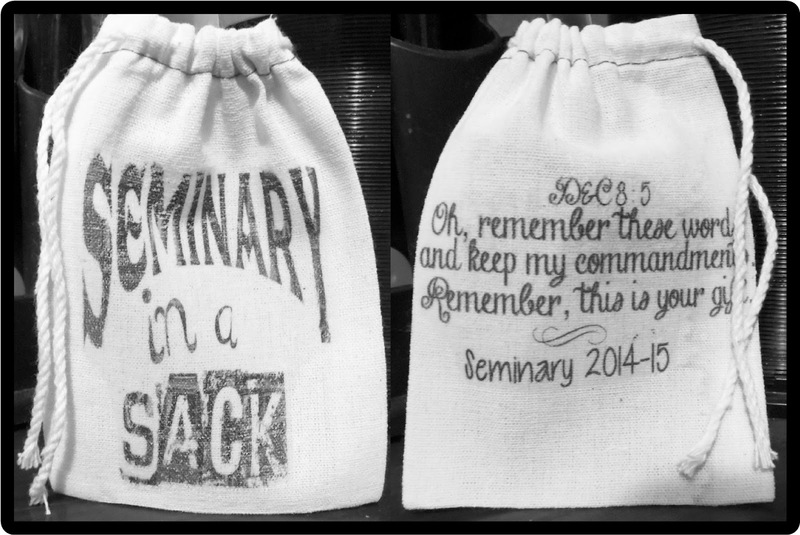 For every scripture mastery that we learned each student got a small item to put into the Seminary in a Sack. Before anyone gets upset that I stole a bunch of wet wipes from Chick-fil-a, I just want to tell you that the wet wipes I bought for the kids were too big for the poster and I happened to have a smaller Chick-fil-a one in my purse, so I used it for the poster. And I decided to make an iron on transfer to put on the front and the back. I used Joleese Easy Image Transfer Sheets for light fabric. I bought them at JoAnns. 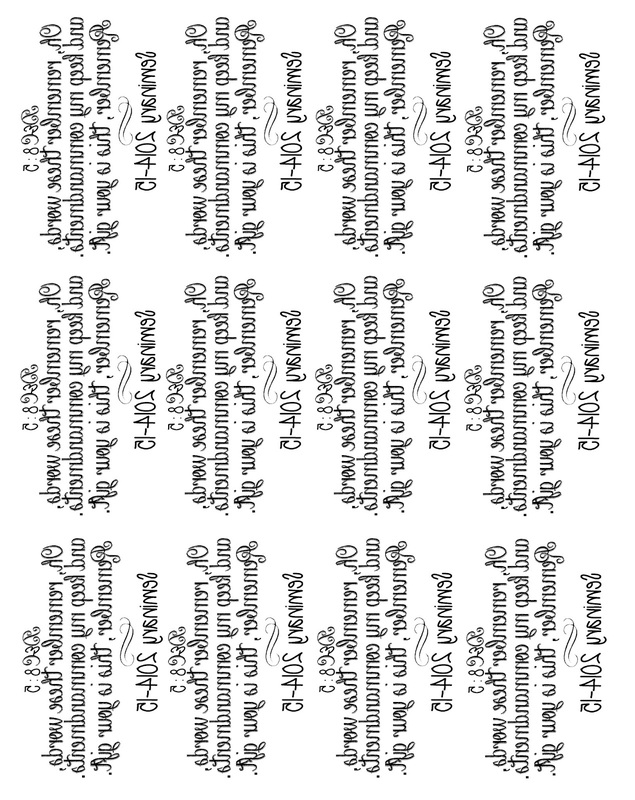 Here is a printout for the one that I did. 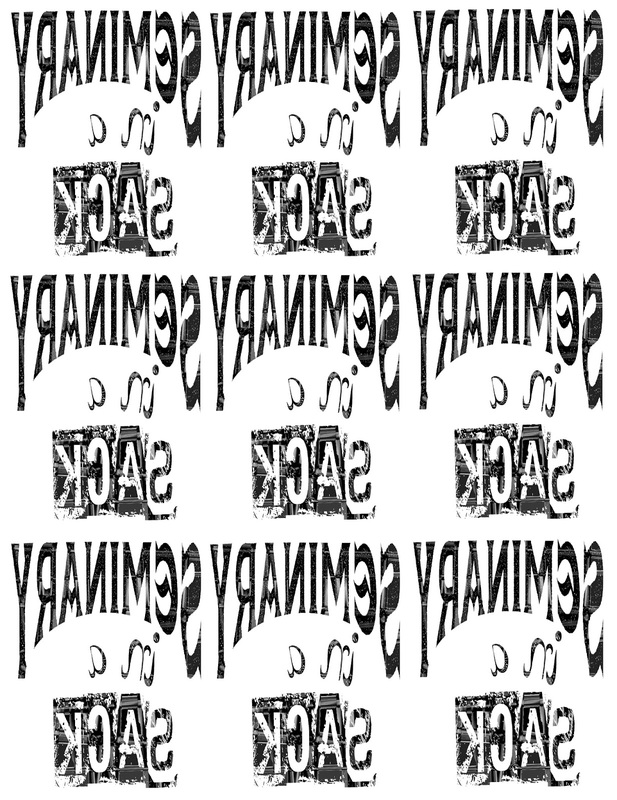 If you want to use it just click on the picture to make it large, then save it into you pictures or copy and paste it into you printing program. I ironed on both sides before I peeled of the paper backing. 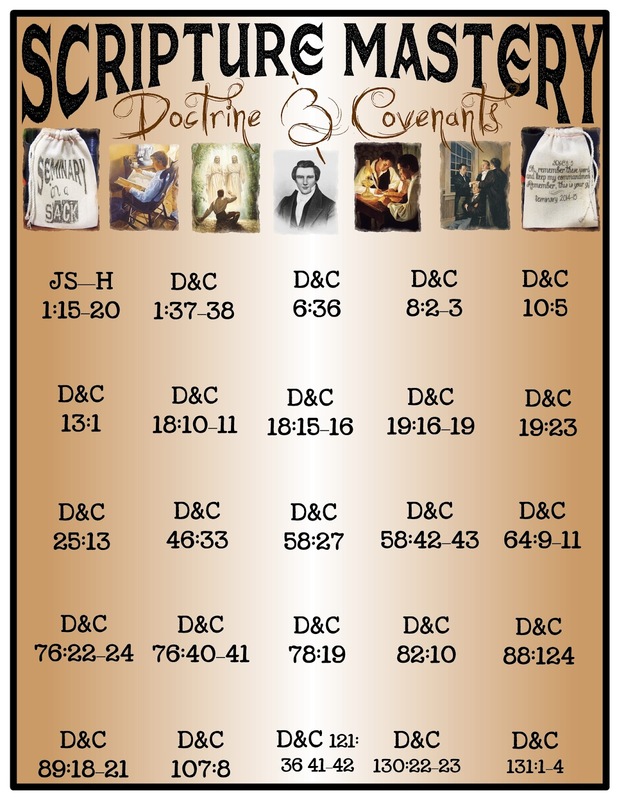 I printed out a wallet sized version of the above chart for the students to put in their seminary in a sack. I also have a printout that I use to glue my charms on. I had it printed professionally in an 8x10 photo so that it looks nice. You can save it into your photos. 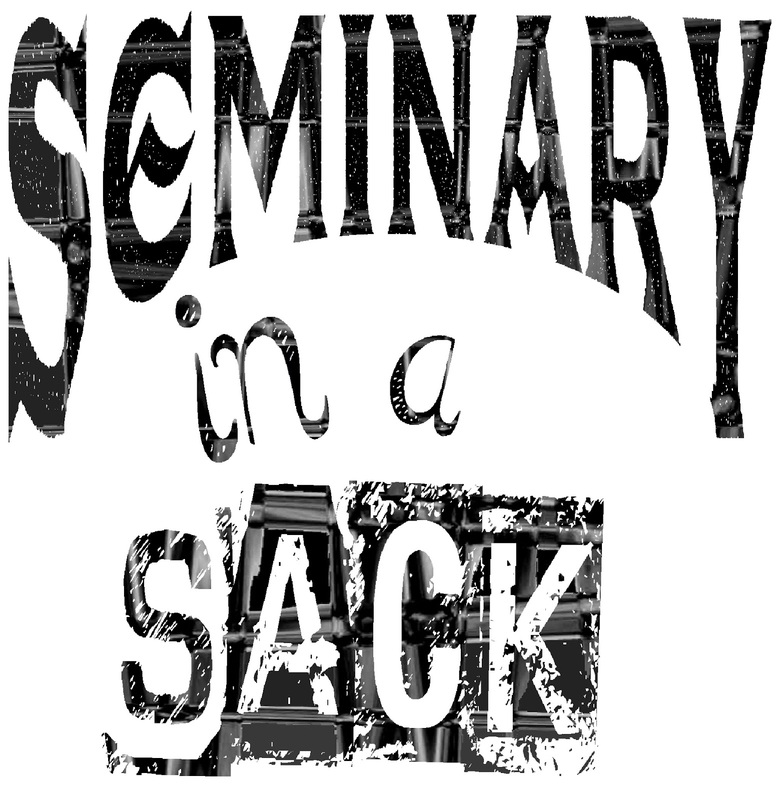 If you are not doing the Seminary in a sack, I have a second printout that does not have the Seminary in a sack picture on it. See below. Here are some close up pictures of the charms. 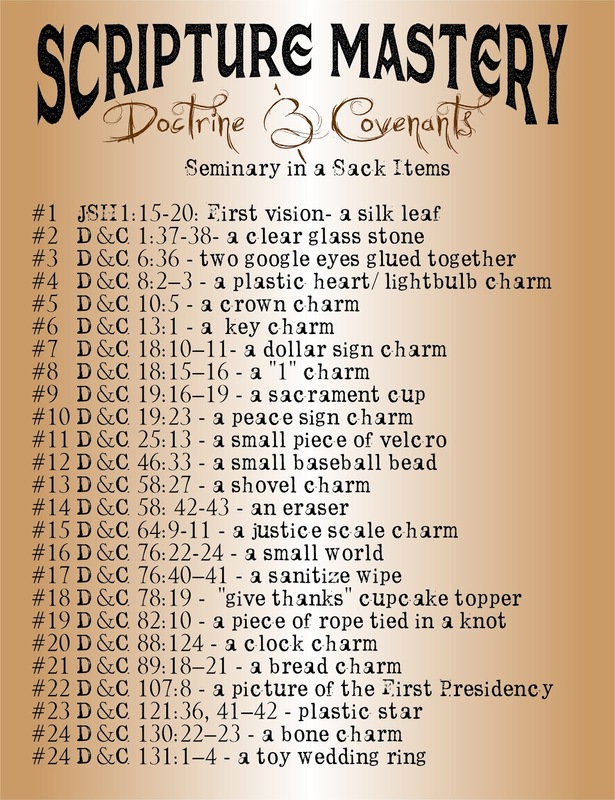 The students enjoyed collecting all of the charms throughout the year. 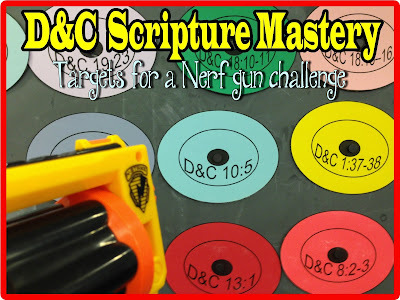 I had a great time coming up with ideas for each Scripture Mastery. Some of them were difficult, but we got them all done. 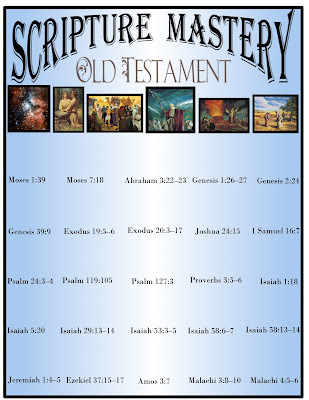 For a bingo and printout for all 25 Scripture Mastery click here. 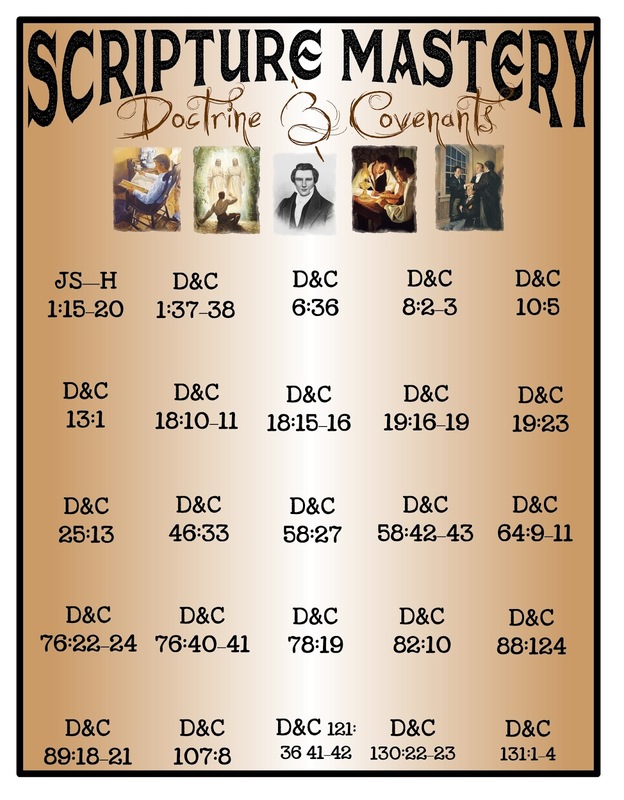 D&C For seminary 2018 comes this fall. This is such a great idea, and I am so glad I found it in the summer when there's time to do this! Thanks!!! Thanks so much for helping me make seminary scripture mastery more fun and easier to learn for my students!